Today, its drizzling a little which means winter's here. Yes, during the transition from summer season to winter it drizzles at my place. 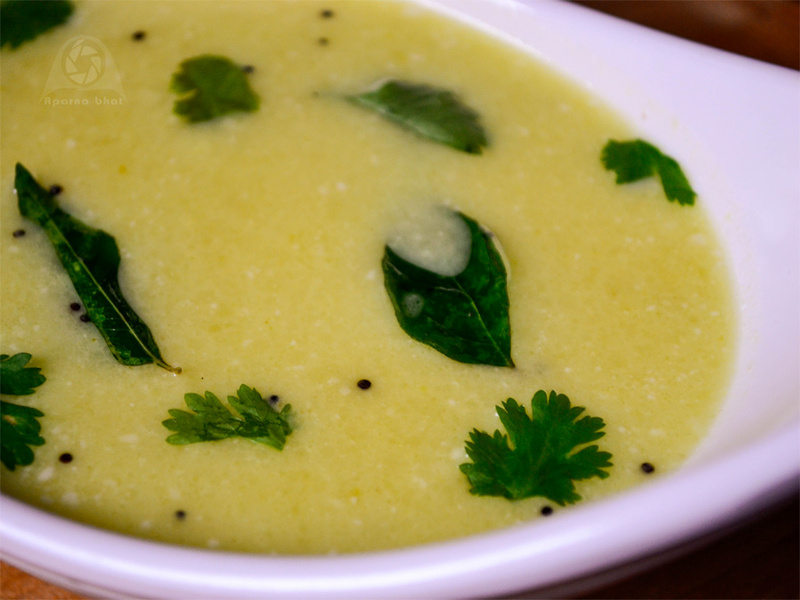 With the temperatures dropping down, I was longing for some warm saar/ kadhi/soup kind of drink just to slurp on. 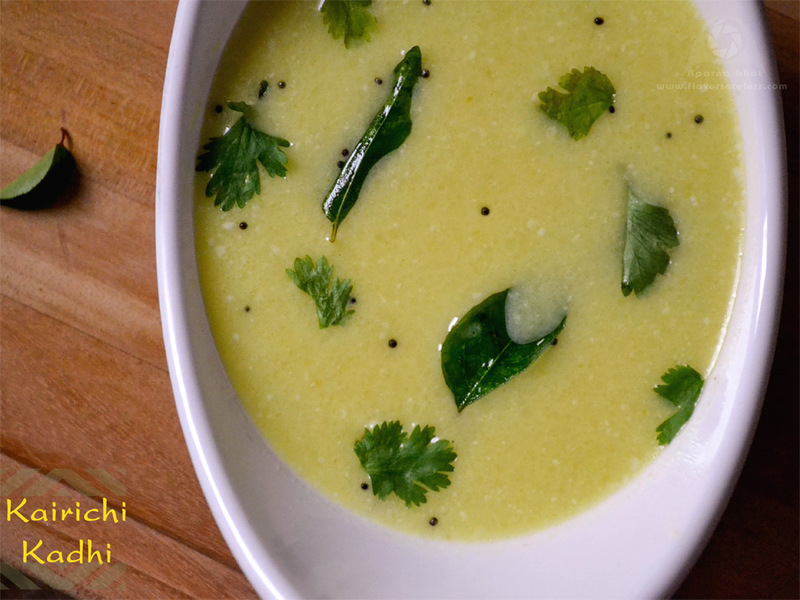 This is what I prepared, a tangy kadhi from raw mango. Add water to the rice flour and make a smooth paste. Keep it aside. Wash and clean the raw mangoes. Immerse it in enough water in a vessel and cook them in boiling water till tender. Once cool squeeze the pulp and discard the skin, seed. Mash the pulp with a fork. Add the rice flour paste, enough water, sliced green chilli, turmeric, salt, sugar and mix well. Let it boil for 5 minutes over low flame. Next add coconut milk and simmer for 2 minutes.